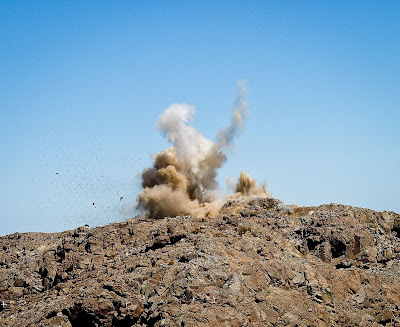 "First Blast", detonated on the El Peñón summit March 8th in preparation for the LSST, was a spectacular. The blast broke up ~320 cubic meters of material. There are roughly 55 more blasts of similar size necessary to remove the remaining material on the main summit, calibration hill and for road work. This effort will continue for the next 4 months.